These days, many people have busy schedules, jam-packed full of activities. If this describes you, you might find it difficult to make time for car shipping. And there are times when you may need your car shipped as soon as possible. Perhaps you need to relocate for a corporate move, or maybe you’re just taking a long trip and would like to have your car with you. Whatever your individual case, sometimes you simply can’t afford to wait. Especially if the situation is business related, time can cost money. In situations like this, Expedited Auto Transport can help you get your car to its destination quickly. 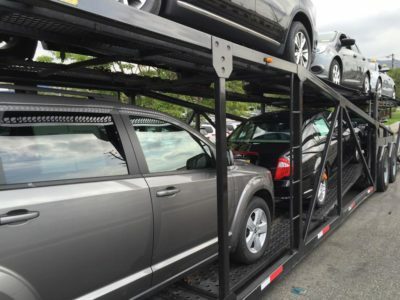 At Baltimore Car Transport we do our utmost to provide you with auto shipping options that fit your individual needs. Expedited Auto Transport is for you if you need to get a car shipped as soon as possible. Using this service, you won’t have to wait a week or two for a pickup date. Instead, we provide you with the soonest pickup available. It costs more, but if you need your car in a hurry, it’s the best option. To clarify, the only way to speed up your shipment is to get a quicker pickup. Truck drivers must follow safety regulations such as speed limits, so there’s no way to make our trucks travel faster. And of course, weather and traffic are variables we cannot control. However, we can locate the car carrier nearest to you that has a free space when you need it. For instance, sometimes customers cancel a pickup, or a carrier might have an extra space. With expedited service, we can get you the soonest possible pickup, so you won’t have to wait a week or two for transport to begin. Contact Baltimore Car Transport for a free quote today! We look forward to shipping your automobile for you!